I, and the American Cancer Society appreciate everyone who has donated their time, talent, and Lindens throughout all the years, and this year is no exception. 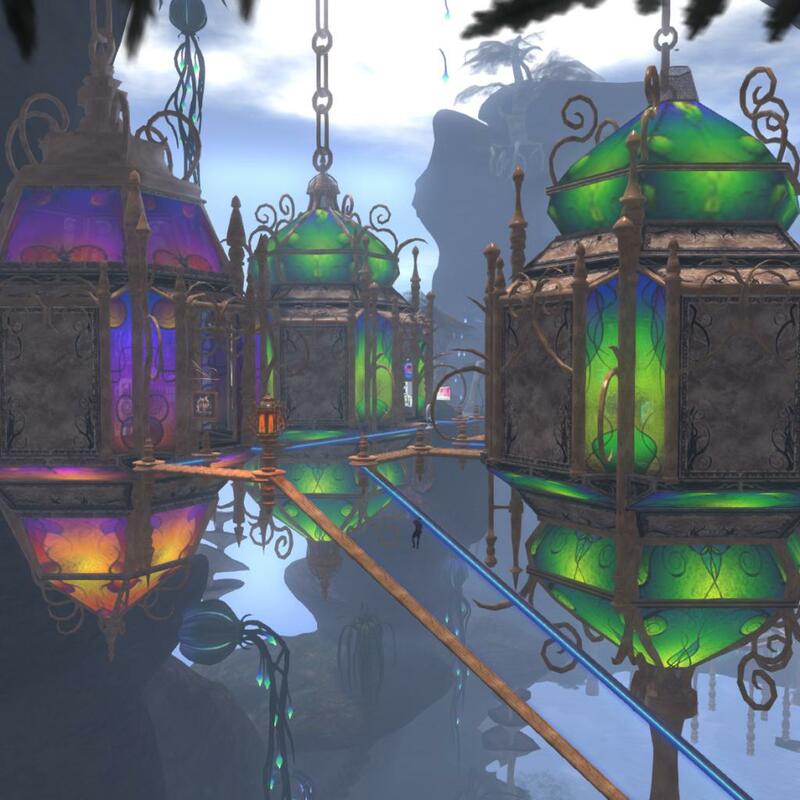 This year, I have seen some of the most amazing things I’ve ever seen in Second Life. I have heard from countless others who share the same sense of wonder and amazement. 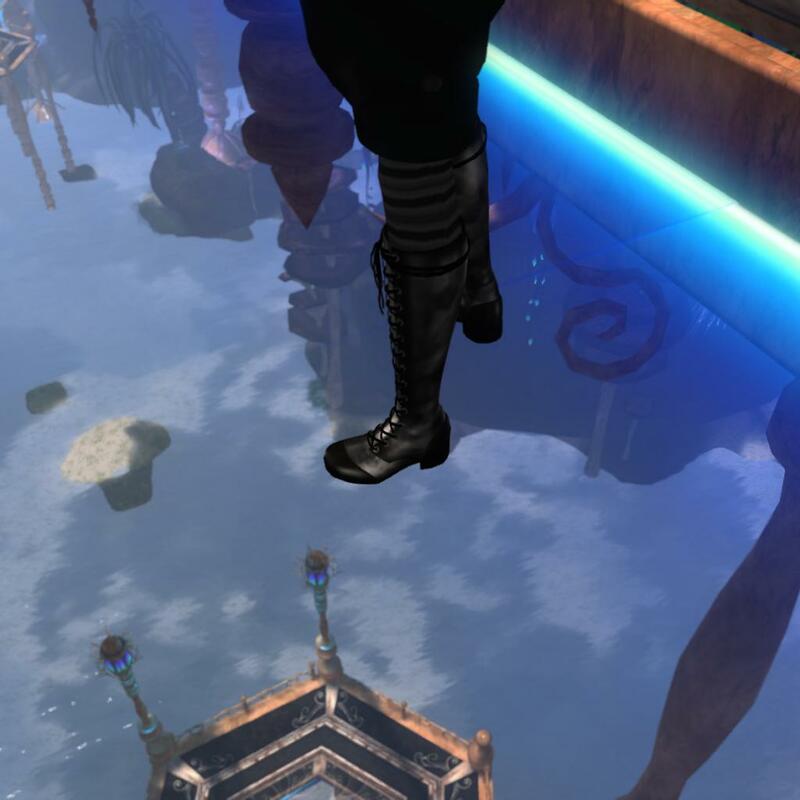 In fact, I can quote one friend who said, “I’ve never seen anything like this in Second Life.” And that’s from someone who is in Second Life every day, and has been for many years. We step across the threshold of two Fairelands once again, this time leaving the icy forest floor of Evensong Woods behind we step into an altogether more alien place. 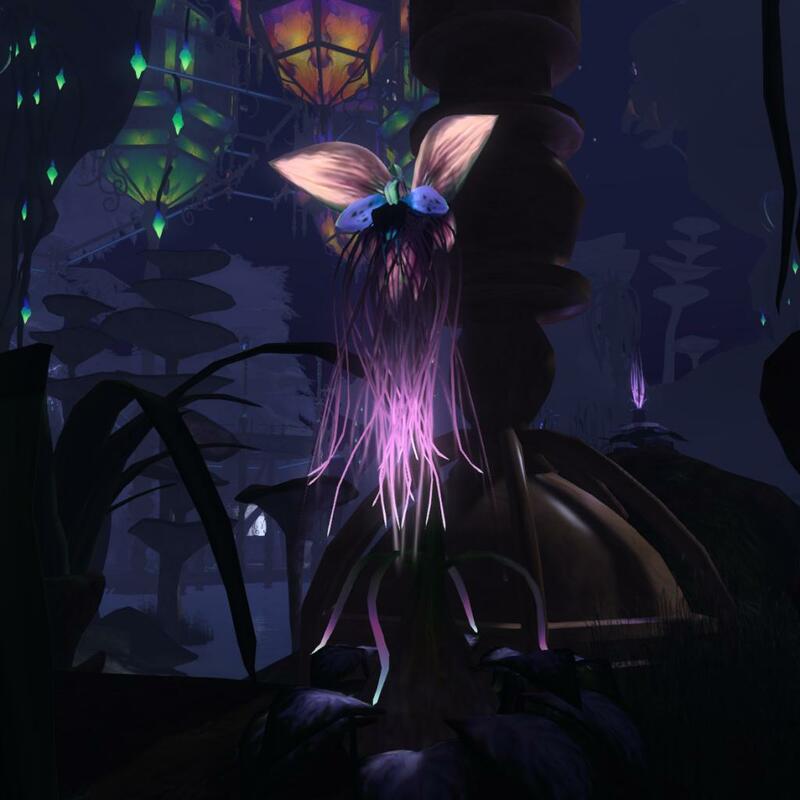 We have entered Titans Hollow, created by veteran Faire builder and creator of the alien and mystical, Elicio Ember. Below us lise a colourful swamp, dominated by alien plant life that is not entirely safe to be near, as Elicio himself discovered when they attempted to devour him during a Jail and Bail session. Each floating lantern, evoking thoughts of middle eastern charm and Art Nouveau elegance, houses a store or feature but getting to them requires an act of faith. In a peculiar parallel to the preceding Faireland region we find ourselves epxloring a multi-tiered land, yet the safety and solidity embodied by the sturdy wooden platforms and short vistas that rarely saw you looking down to the ground could not be further from experience in Titans Hollow. 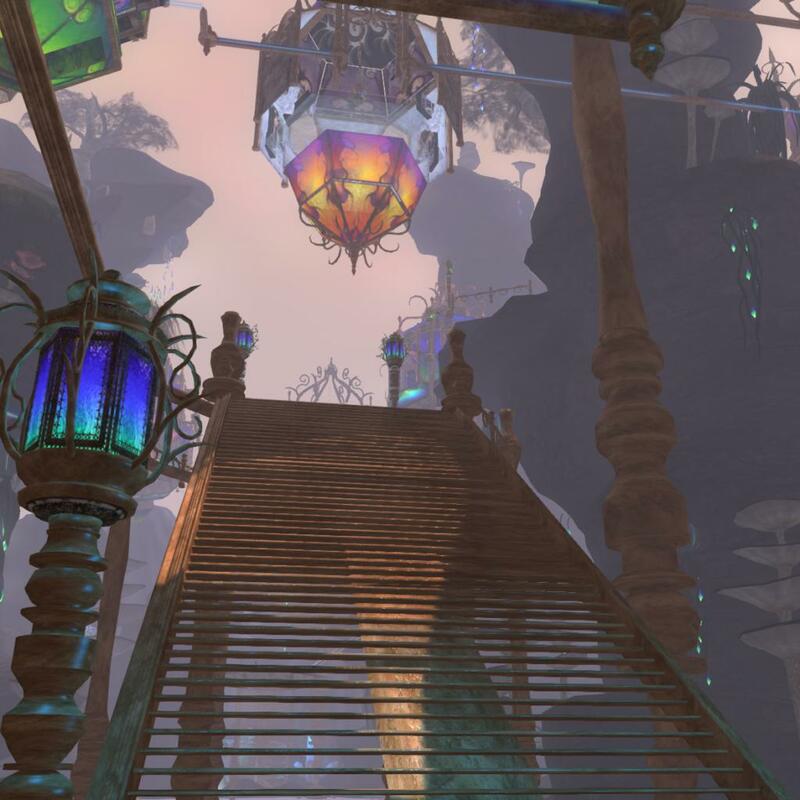 Transparent walkways carry you from store to store and level to level the only hint to their existence lies in the solid brass retainers and the subtle blue haze that emanates from the edges. It is very much an act of faith as you step out onto the air with meat-eating plants waiting hungrily below. 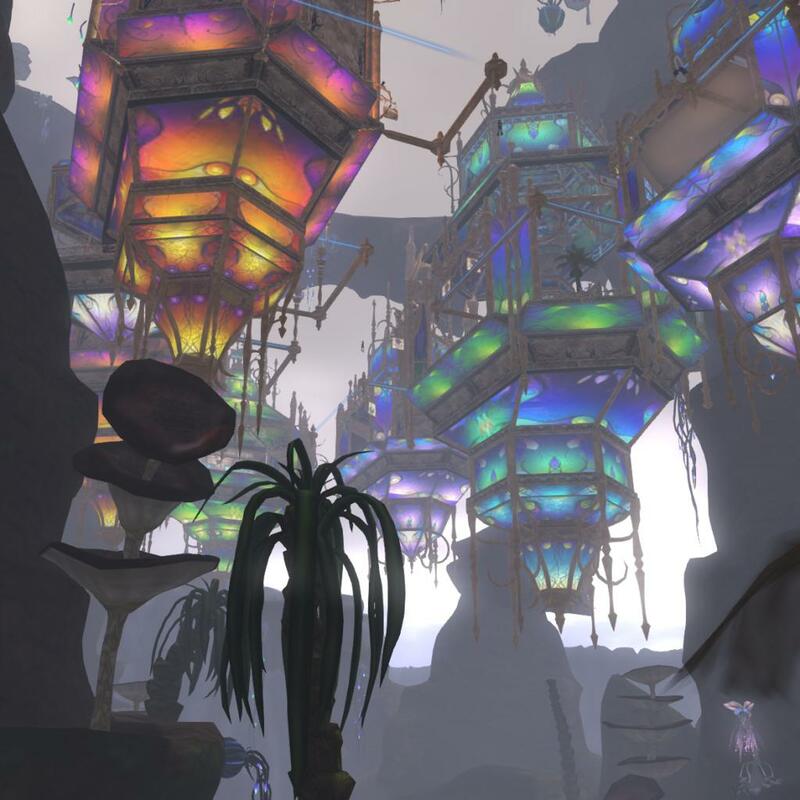 Elicio’s creations embody so much of what is great about the Faire. Pure creative genius, drawing inspiration from our own history giving them an immediacy, a familiarity that is then placed at odds with the extra-terrestrial environment in which it is placed. Last year we saw the amazing Ruins of Nu Orne, inspired by the historic temple complexes of asia, this year an altogether different theme yet linked by a staple of Elicio’s design the bold coloration and etheral glow of his wonderful plant-life. We know Elicio did it first though. 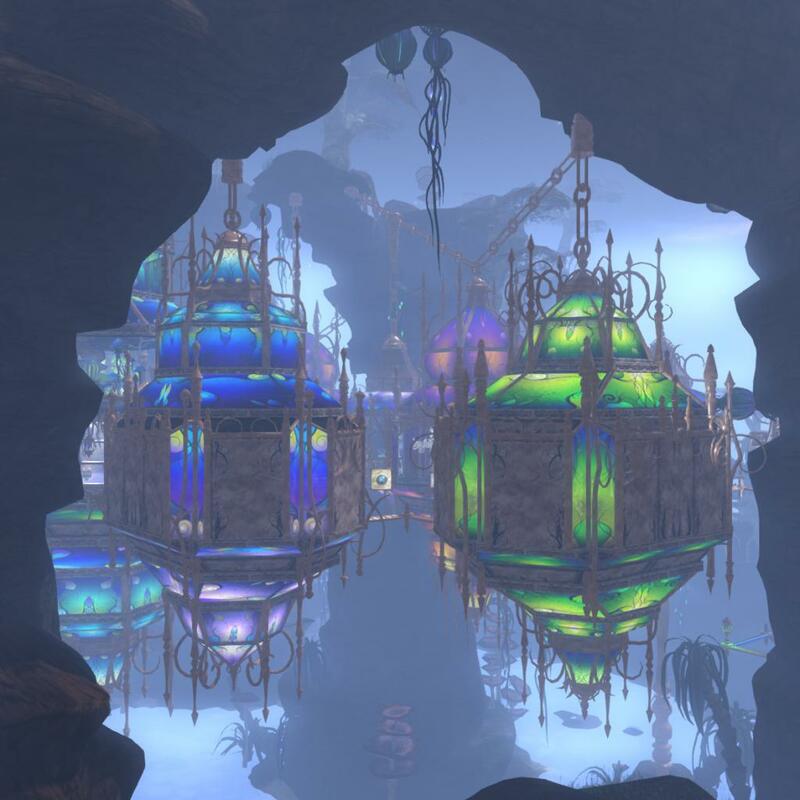 It is time now to hasten onwards to out next Faireland destination leaving the man-eating, bio-luminescent flora and hanging lanterns of opalescent glass behind; we now head underground into the caves and tunnels of Dragonspire. See you there.